At 18 years old, Lady Gaga, then Stefani Germanotta, had a Facebook hate page dedicated to her. In a new essay, published by Public Radio International's Lauren Bohn, it is revealed that Stefani, who is among the top-selling musicians of all time, has six Grammys, a Golden Globe, and just recently scored an Oscar nomination, used to have a Facebook group dedicated to saying she'd never be a star. "The page housed pictures of a pretty Norah Jones-esque young 18-year-old NYU student who sang and played piano at local bars. The group was peppered with comments, sharp as porcupine needles, vilifying the aspiring musician for being an 'attention whore.' Scores asked: 'Who does she think she is?' I also remember one dude posting a flyer for one of her upcoming gigs at a local village bar. He had clearly stomped on the flyer, an outline of his muddy sole [soul] struggling to eclipse her name. 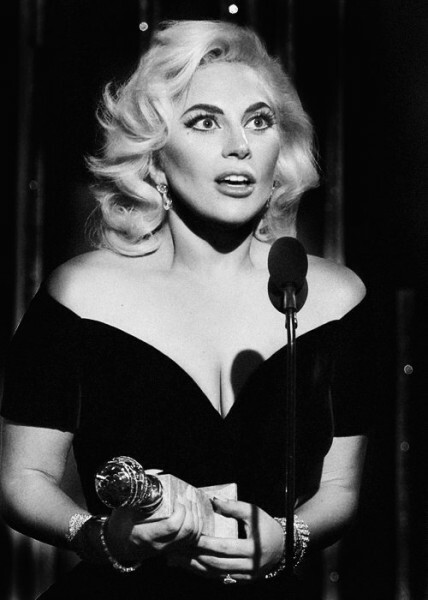 Did Gaga prove your hating asses wrong, ONTD? In a recent interview with Forbes, actor Robin Williams dished out a handful of tidbits about his most famous roles throughout his 30-plus-year career. Working with Al Pacino in 2002's Insomnia, he said, was especially memorable: "[His] character was crazy. Before every take, he would roar like a lion." Roar like a lion. "Roaring," of course, might be a bit of an extreme characterization — but Pacino certainly isn't known for his whispering roles. Chicago-based filmmaker Nelson Carvajal threw together the above compilation — appropriately called "Pacino: Full Roar" — of some of the actor's most memorable movie meltdowns. He originally produced the clip as a video essay for Press Play. Movies include Scarface, Any Given Sunday, Donnie Brasco and Scent of a Woman, plus many more. Watch it for yourself up top. WARNING: Intense — and totally NSFW — yelling ahead. What are your favorite Pacino moments? Share them with us in the comments below.